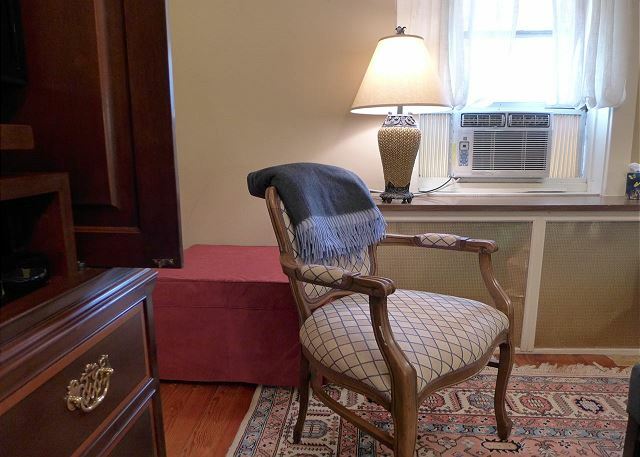 Anna's Retreat is a beautifully furnished one-bedroom apartment in St. Louis' grand and historic Tower Grove East neighborhood, near Compton Heights. 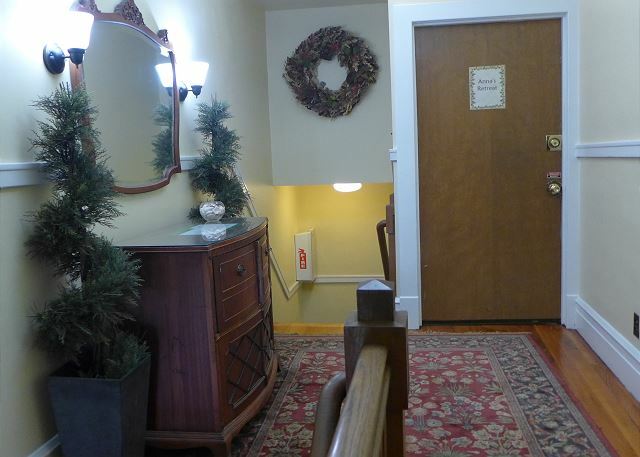 Anna's Retreat is on the second floor of the historic Ullrich Haus and only accessible by stairs. The kitchen includes everything for basic meal prep. 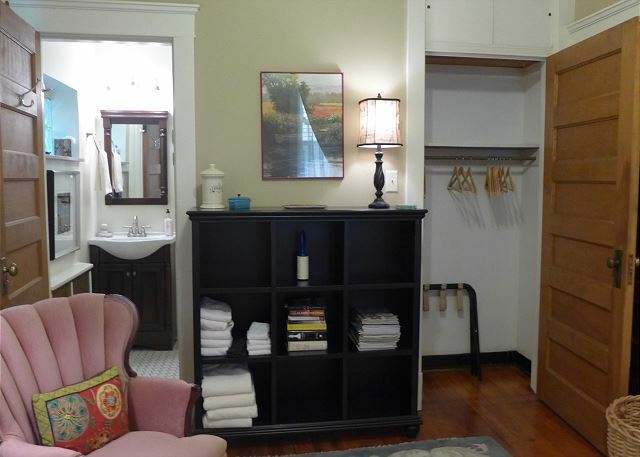 Yes, we provide all linens and a hair dryer! Also included are light breakfast foods, unguarded welcome treats & teas, and freshly roasted coffee from one of the city's best roasters to start your stay. The apartment has WIFI, and an antenna for local stations on the flat screen television located in the living room. You are welcome to log into any streaming services to which you subscribe, through the Roku Box. There is no television in the bedroom. Parking is free and on-street in front of Anna's Retreat. With the exception of those reserving over holidays or other high-demand dates, guests are not charged until their day of arrival. Two-night minimum on weekends. We use dynamic pricing to ensure competitive rates. Sorry, while we all love them, we do not allow pets at the Anna's Retreat. 100% Positive in every way! Imagine having the opportunity to stay in a beautiful apartment that has everything you could possibly need with a few added surprises you didn't know you wanted, but fully appreciated. Talk about home away from home..... Anna's Retreat nailed it. All I had to add was a few slices of cheese and a dish of nuts to go with the ice cold beer in the fridge. All the items needed for a wonderful breakfast along with wonderful recommendations from my host for local eateries to cover the other meals. This was my 4th extended stay with the wonderful this Airbnb group owned by two talented sisters. I have stayed in 4 out of their properties and am slowly making my way through all 19! Everything was just right, from the comfortable bed to the snacks and drinks. Clean, comfortable and cozy. Quiet neighborhood. We hope to stay here in the future. Very nice apartment, when we arrived the temp was cooler than expected but the owners came by within 10 minutes and took care of the problem. They were wonderful to work with. I loved staying here, and it was very relaxing and comfortable! So many welcoming goodies too! My daughter and I stayed here for the week of my daughter's 12 birthday. It was a last minute trip that they very kindly were able to accommodate us on. We couldn't have been happier. It was very clean & had everything we needed. Not fancy or luxurious yet nicest homestay I've ever experienced. 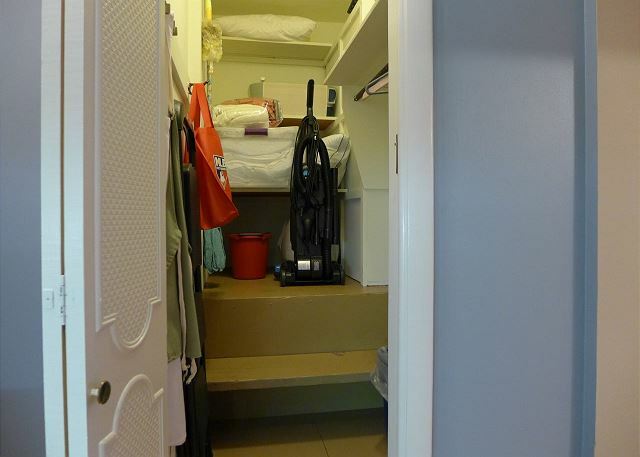 Apartment was clean, quiet, and well-equipped with everything you might need. More importantly, it had a real "homey" feel--furnishings were comfortable and attractive, like from a real home, not the usual spare and cheap stuff you get in many rental properties. Street was quiet with ample on-street parking. I'd gladly return. I wanted to be in the Missouri Botanical Garden vicinity & this was perfect. I was allowed to check in early and even though they forgot to put the key in the lock box, Rachel came over immediately to let me in. Then she carried my back-breaking suitcase up the stairs without a moment's hesitation, told me a list of good restaurants in the area, & made sure all my questions were answered before she left. The Retreat was just the right size for me and could have easily accommodated my husband too if he had been with me: living room with TV & DVD player, small dining table, complete kitchen & appliances/utensils, comfy bed, shower/tub (leave your shampoo, conditioner, lotion, soap, & blow dryer at home), & AC unit in living & bedroom, plus a ceiling fan in the bedroom. I considered stopping at a local grocery but it was on a one-way street & as I tried to return to it, I got so interested in looking at the varied & amazing architecture of the surrounding homes, I gave up the shopping idea & returned to Anna's. Once I got back to the Retreat I was glad I hadn't shopped: in the icebox were 6 eggs, oranges/apples, bagels, butter, cream, & beverages! The special treats for me were coffee beans + grinder & an organic chocolate bar which I managed to make last for 5 days:) There is a small cafe next door (that I was unable to make time for) and, even though I was unfamiliar with the area, I felt completely safe. Emails were thorough & Rachel was always just a phone call/text away. I would return in a heartbeat! When a country girl can be lulled to sleep by crickets, you know you have found a quiet place in the city. Thank you Rachel and Anne. Great stay. Great neighborhood, lovely property. This space was absolutely perfect. 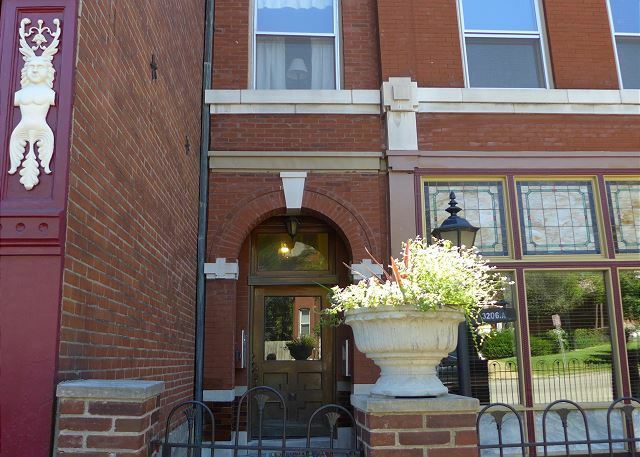 With a historic flair and everything you may need, this apartment was ideal for a visit to St. Louis. It was clean, well kept, and cool even on warm summer days. We were greeted with a couple of local treats upon arrival as well. Located just minutes from downtown, SLU, the arch and the Budweiser brewery, everything is within reach from this starting point. However, it is also tucked into a quiet neighborhood, allowing for some peace at the end of a busy day. If staying close by is the goal, there is a quiet, neighborhood restaurant and bar literally next door. I would absolutely recommend staying here for any reason you may be visiting St. Louis. This was a lovely home-away-from-home-in-my-former-hometown when my fiance and I came to visit St. Louis! The neighborhood is very quiet with very easy street parking. The apartment is cozy and comfortable, perfect for the two of us. 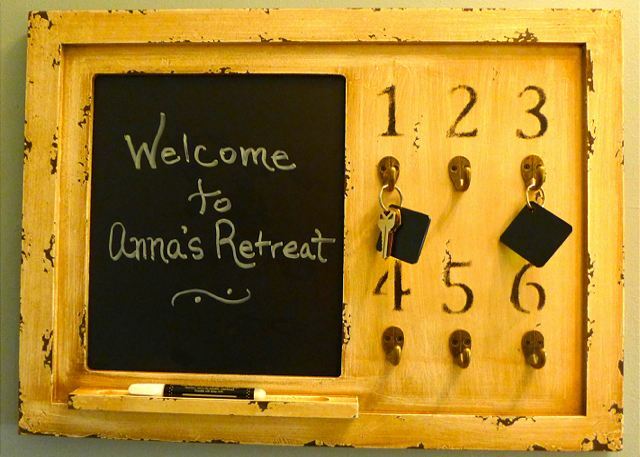 When we come back to St. Louis, we'll be sure to look up Anna's Retreat. These accommodations were spot on! The extras in the kitchen and bath were perfect!! This gem was perfect for our St. Louis adventure. Five minutes to everything (St. Louis Zoo, Science Museum and Cardinals Game) Love the homey feel this house had. The only thing I would add...a list of nearby restaurants and grocery. We rented the Ullrich Suite, Schreiber Suite & Anna for a family wedding! We had everything we needed and more! All the details were much appreciated, for instance the welcome treats, the candy jar, coffee with a grinder, the breakfast food! The location was perfect and one reason why we chose this location. Apartment was everything we were hoping for and more. Stayed an extra day as it was so relaxing. Great location in quiet neighborhood. Chocolate and snacks provided, nice touch. It was a great experience to share a home like environment with my family. There could've been more hot water for the shower, but otherwise a wonderful comfortable stay... thanks! We decided to try some place different while visiting St. Louis this time and Anna's didn't disappoint. The place is as fabulous as all other SF Shannon rentals. Loved staying here! Such a nice retreat from hotels. All the extra treats in the fridge and such were amazing and thoughtful! Will always stay here when back in St. Louis. in the neighborhood was lovely. A great experience for first timers in St. Louis. Any experiences with SF Shannon were excellent. Definitely a "stay again" property. 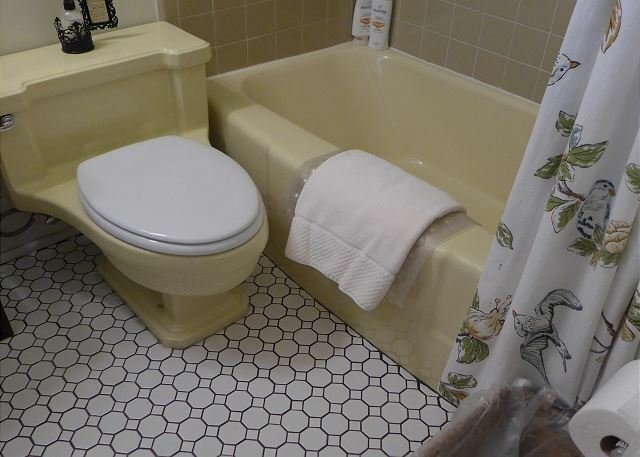 Convenient location with many amenities. Appreciated the clean, well appointed apartments. 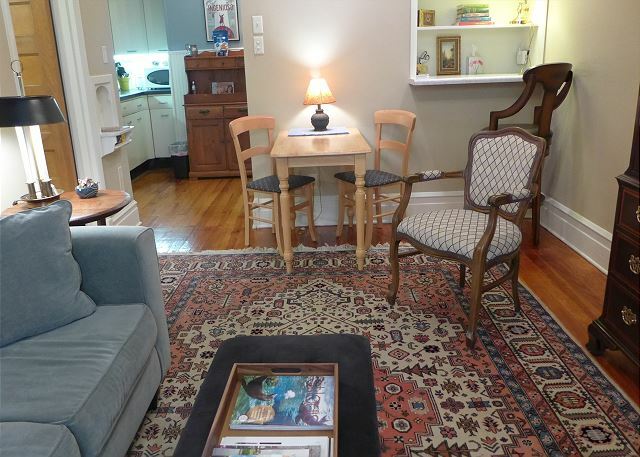 Rented two units for four women and loved the layout of both spaces. 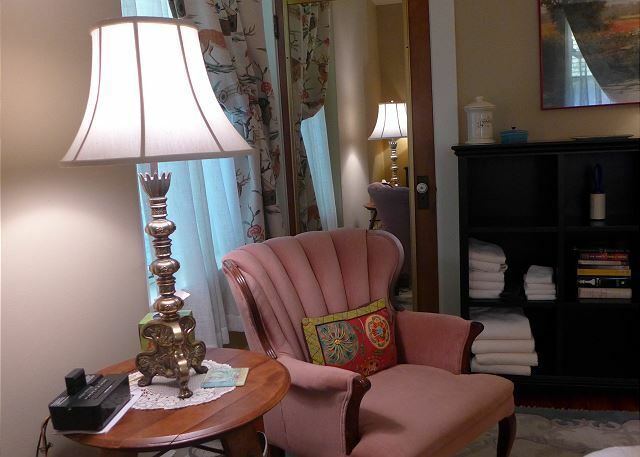 Beds firm, nice towels, many local treats furnished such as Schlafly Summer Ale and coffee from Northwest Coffee. This little apartment was everything the owners said it was. It was very cute , cozy and comfortable. We were a little concerned that it showed window air conditioners and it was supposed to get in the mid 90's but the units kept the apartment very comfortable and they were fairly quiet. The owners put a lot of thought into making sure their renters enjoy their stay including breakfast supplies, fresh ground coffee and snacks. They unit is located just a short drive from the botanical garden and the Hill, two of our favorite spots. Thanks to the owners and staff. Great job. We definitely recommend this rental and plan on staying again. The rental is very well kept and very clean. It was fully stocked with plenty of towels and wash clothes. The kitchen was stocked with fun treats and breakfast items. They even had 3 different kinds of tea. It's located in a cute, quiet neighborhood with a restaurant next door and a coffee shop across the street. We'll definitely be back to stay again! Check in process it a breeze and the app was very helpful! Another Great SF Shannon stay !! Rain drops keep fall'n on my head. My wife and I planned a weekend trip to see a couple Cards games. We got one in but rain cancelled the other, that did not stop our fun in St Louis though. Room at Anna's retreat was spacious , clean and very comfortable. We have stayed at several SF Shannon properties and liked all of them but this might be our favorite. Location is terrific for anything you want to do in St. Louis. Check in / out is simple with their app. We look forward to coming back !! Love the "Mud House" on Cherokee and "Southern" for fried chicken ! Anna's retreat was exactly as described, very well maintained, clean, well appointed and cozy. Customer service is top notch. easy check in and out. Safe and comfortable. Son lives nearby so I could walk to his home. Kitchen House is Excellent for breakfast. Walked to the Botanical Gardens was lovely. 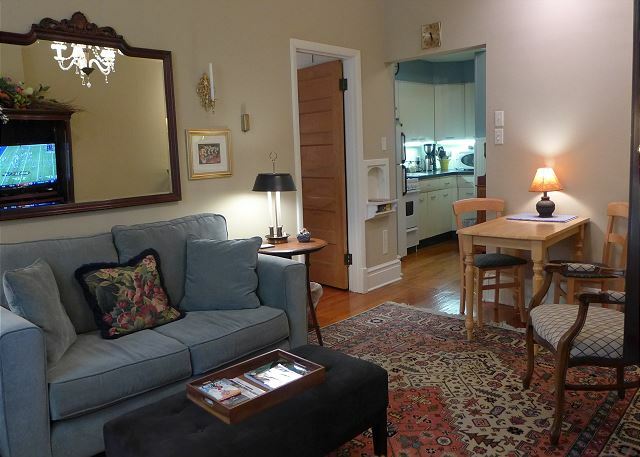 SFSHANNON short term rentals are wonderful and so comfortable. 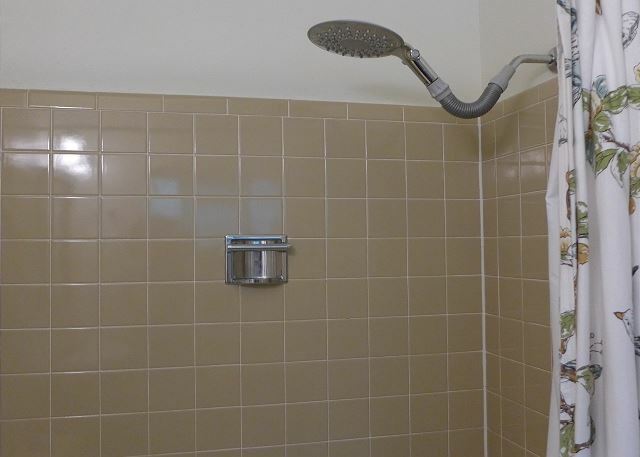 Units are very comfortable, with lush linens and towels. They are beautifully decorated as well. And the apartment is stocked with locally roasted coffee and snacks for an extra special touch. 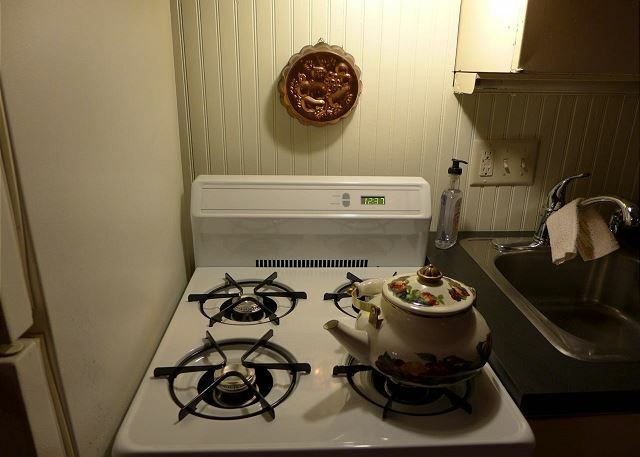 Having a kitchen is a bonus as well; we cooked our Thanksgiving side dishes with ease. We have been using these apartments for years, and will continue doing so. I loved this location! The little apartment was adorable and the building was very secure. They provided French roasted coffee beans upon request and we were able to start our morning sitting in the garden sipping on coffee. Location is close to everything! Very very clean as well! Stayed in Anna's Retreat in late August 2016. This is our favorite SF Shannon apartment yet! It's quiet (2nd floor of 2 story building), has a cocktail bar / restaurant right next door ("pressed" cocktails), and a great coffee shop across the intersection. We always love going staying with Rachel and Karen because they think of the little things: coffee, bananas, eggs, bagels, cream cheese, butter, beer, chocolates. It makes traveling so much easier and more relaxing knowing you don't have to go buy snacks or breakfast food. Rachel accommodated our early check-in by leaving keys in a lock box for us. And check-out was just as easy. The apartment looked just like all the pictures on the web site. Everything worked fine: plumbing, electric, AC units, stove, wireless. Great place. We will definitely stay there again. We absolutely loved Anna's Retreat! The location. Style. Coziness. Amenities (snacks, breakfast, toiletries). The bed was super comfortable as well. Centrally located to lots of activities. I will always stay here every time I visit family in St. Louis. Warm, inviting, immaculately clean, lots of goodies--this place is phenomenal! Anna's Retreat is one of the most comfortable and clean places that we have ever stayed. The home is adorable and offered many personal amenities to make it even more special and accommodating. 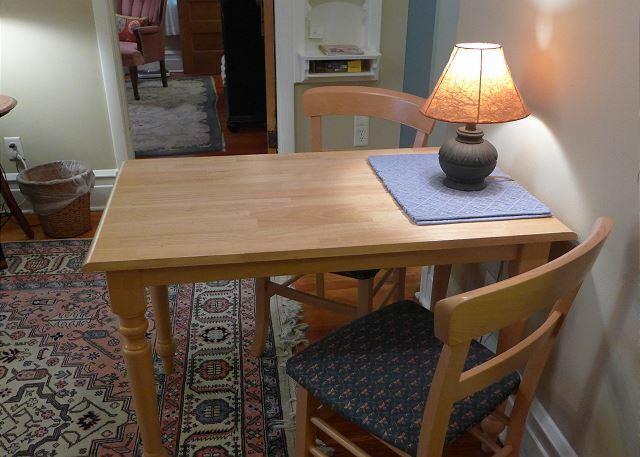 I would recommend this home to anyone and we plan to stay again if the opportunity ever arises. Staying at Anna's Retreat was wonderful! It was exactly and more than what I expected. Rachel, the owner, was so hospitable. The treats and breakfast items were delicious. The location was literally 10 minutes from downtown. If I ever make it back to St. Louis, I will definitely stay at Anna's Retreat again. Thank you so much for making it such a wonderful and comfortable stay in St. Louis! Anna's Retreat was a place of quiet, privacy,and rest. It had the look and feel of a gentler time. We were altogether charmed. I had 9 family members come into town (a little family reunion during my graduation ceremonies), and we took over 4 apartments in SF Shannon. Our stay here was *incredibly* comfortable and convenient. Rachel and Karen couldn't have been more accommodating. The pictures do not do these apartments justice - they are BEAUTIFUL. Anna's Retreat was incredibly quaint, the Ulrich Suite was huge and fancy, the Loft had serious flair, and the Schreiber's Suite was also quaint yet retro!!! The touches that they put on these places, from the cute decorations and lotions to the chocolates and coffee, made us feel like we were staying at home. Highly recommended!!! This was our second stay in Anna's Retreat. The apartment was clean, comfortable and quiet. We love the location. The snacks, chocolate, beer and coffee were very much appreciated. We loved our stay and would stay again or in one of their other properties. Karen and Becky were helpful and responsive to our questions. We have booked with SF Shannon for years. We always stay with them when visiting family in St. Louis. We've stayed in 3 different properties and all have been wonderful, well located, unique furnishings, excellent, thoughtful accomadations. Delightful owners. First visit to St. Louis for a weekend getaway. This apartment is even cuter in person. We had everything we needed and we were walking distance to The Shaved Duck (yum). Location is great! There's a huge park nearby, stores, restaurants etc. loved this place and plan to return! We needed a place to stay for two days while we were getting ready to move into our new house. 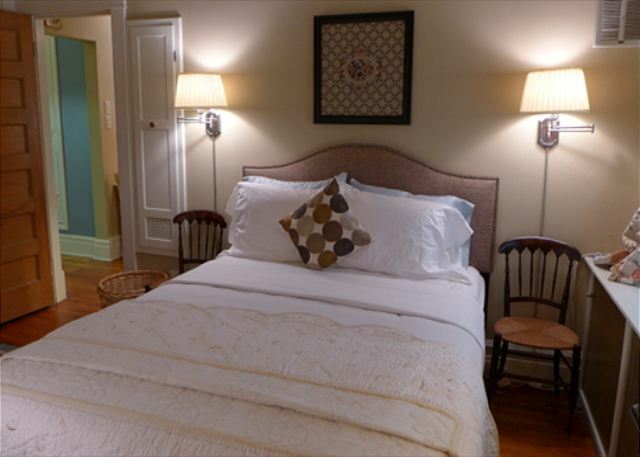 Anna's Retreat was the perfect solution rather than having to stay in a hotel. The place is very clean and there was everything we needed to be comfortable and safe. The owner of the building even had fresh ground local coffee, some snacks and fruit and yogurt for us to enjoy. The neighborhood was clean and appeared safe. The location makes it easy to get to all that the city has to offer. We very much enjoyed staying at Anna's Retreat. The location was close to our daughter who we were visiting. The unit was perfect for the two of us and the owners provided us with coffee as well as several other treats! Everything was clean and in good working order. We will be back! Absolutely Amazing Place to Stay. You'll want for nothing. Anna's Retreat was a fantastic place to stay. I can't wait to come back next year! It's in a really cool artsy neighborhood very very close to downtown. I also picked up some great decorating ideas during my visit. It's a cozy and adorable place. It's equipped with everything you could imagine! It's well kept and the neighbors are really nice and helpful. The Shaved Duck is really close. Go eat there! My husband and I made a long weekend trip to St Louis for the first time. Anna's Retreat was the perfect place for us - not only was it in an easy to access location, but it had everything we needed (including free bagels, beers, coffee, water, and snacks from the owners!!) in a small, very affordable apartment. We were able to cook our own meals, or find places close by to go to eat. A trip downtown, to the zoo, the loop, or even to the airport was only 10-15 min away. The owners were extremely easy to get in contact with, made our late check-in easy, and made sure to follow-up to make sure we got in okay and had everything we needed. Parking was on the street, but we always found a spot close to the apartment without issue. We would definitely recommend Anna's Retreat to anyone looking for a 1 bedroom in St Louis & will stay here again the next time we're in town. 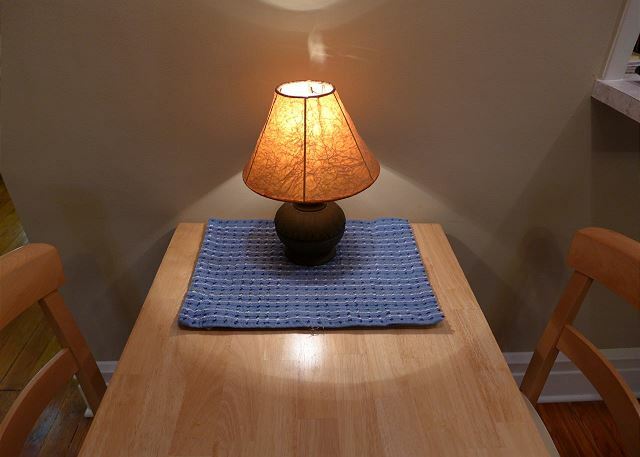 great location and very convenient to activities downtown, but in a nice quiet setting. This rental provides so much more than the average hotel room, at a better price. The snacks and drinks provided, as well as the restaurant/bar next door, were just an added bonus. 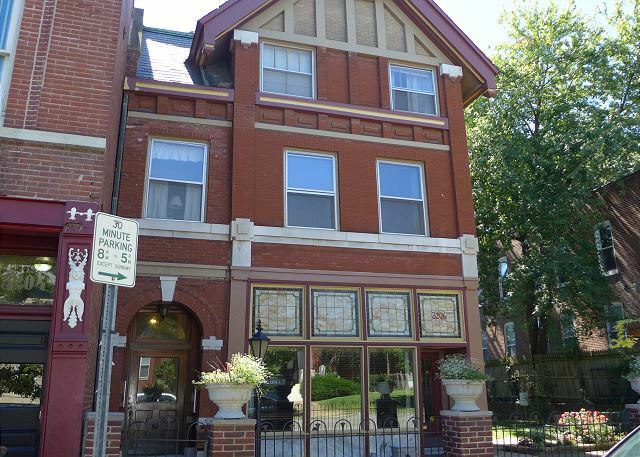 A well -appointed gem in Tower Grove East. We couldn't be happier staying in this small but well laid out apartment. This was our 2ND time staying here & we felt even more at home this visit. 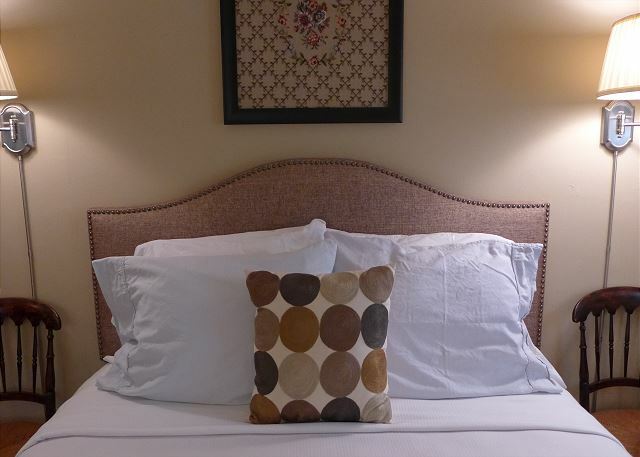 It is clean & comfy, nicely decorated & well suited for short to medium stays. The bed is very comfortable. The kitchen had everything one needs to prepare simple meals. And, we loved having the computer /Internet set up & easy to use. Having a few breakfast supplies & snacks on hand when we arrived was wonderful. Thanks! We'll be back! Most definitely will stay there again! Definitely not "the Ritz" but quite comfortable and clean, plus adjacent to small, upscale/ being-scaled old neighborhood (Compton Heights). Greeter Rachael was prompt, very friendly and informative about restaurants, neighborhood walks, etc. 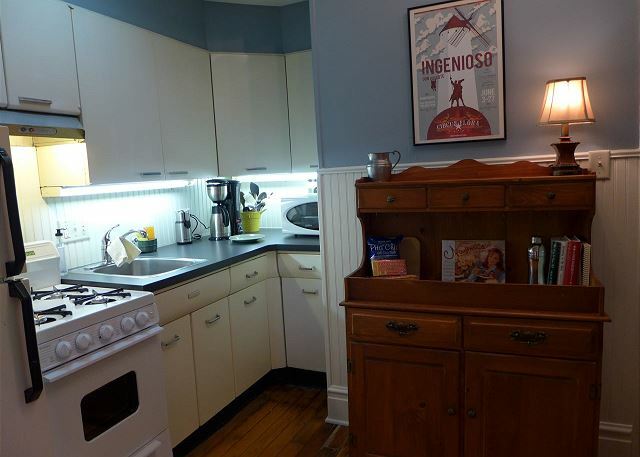 Amenities included fresh fruit, eggs, bagels, coffee beans (and grinder), sparkling water, even a couple of Pale Ales. We liked it well enough to stay again a few days later on our return trip. I stayed in this beautiful, well-appointed home for 8 weeks! The apartment was extremely comfortable and the extra attention to detail and comfort of the guest helped me feel at home during my long stay. The area was great fun with the beautiful Tower Grove Park, interesting ethnic restaurants, fun shops, and cultural experiences nearby. It was also easy to travel around the city from this spot. The staff was extremely helpful and available to fix the one problem that came up (a sticky bolt lock) right away! It was a pleasure. Thoroughly enjoyed our stay at Anna's retreat. Perfect describes the rental. Would not have changed a thing. A perfect retreat after a long day of sightseeing and enjoying the neighborhood. 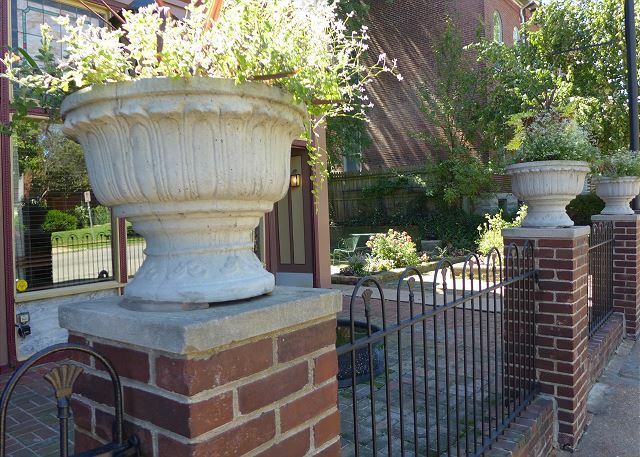 This spot was perfect--a short drive gets you to Tower Grove Park, the Botanical Gardens, Grand Boulevard, and Soulard. The service was perfect and the attention to detail was quite thoughtful--light breakfast offerings, coffee, beer, juice, and a full, but cozy, kitchen was the nicest surprise. No need to bring anything but your clothes and the desire to enjoy all that St. Louis has to offer. 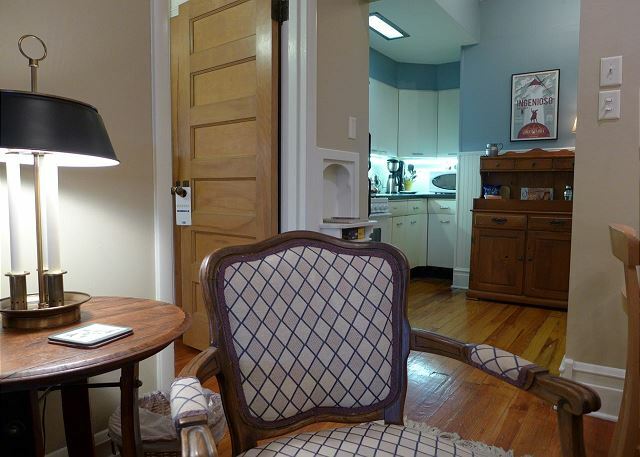 St. Louis is among the underrated gems of the country and this rental is such an example. I will look this spot up next time I return to Mound City. Hopefully, it hasn't gotten too popular by then! 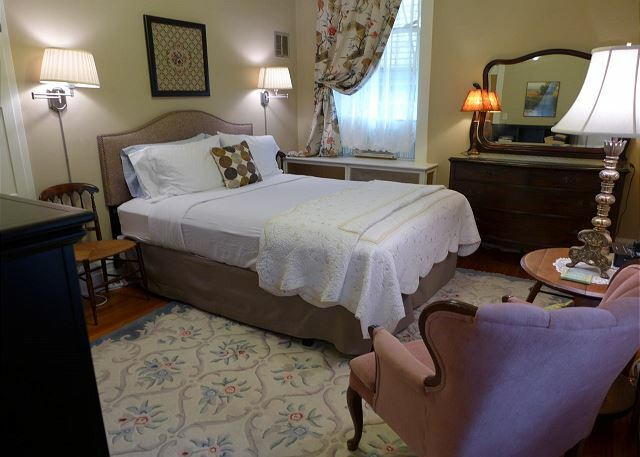 If you would like to experience a piece of St. Louis history, while being treated to a most excellent welcome, Anna's Retreat would be the perfect place. Oasis rentals that inspire peace and tranquillity! 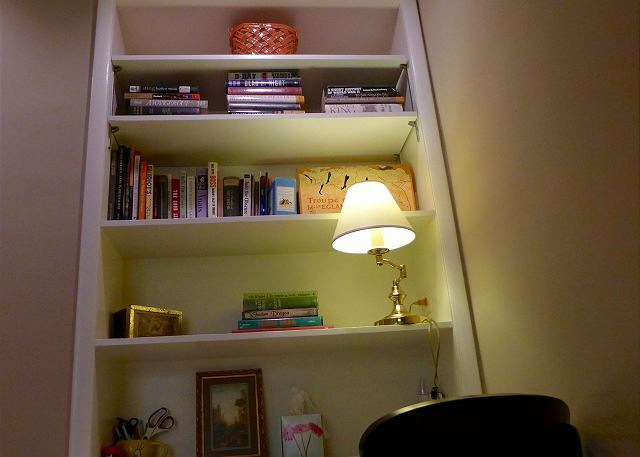 We stayed at Anna's Retreat and the Loft, two very special apartments in a wonderful residential area of St Louis. Very close and an easy drive to central and downtown. 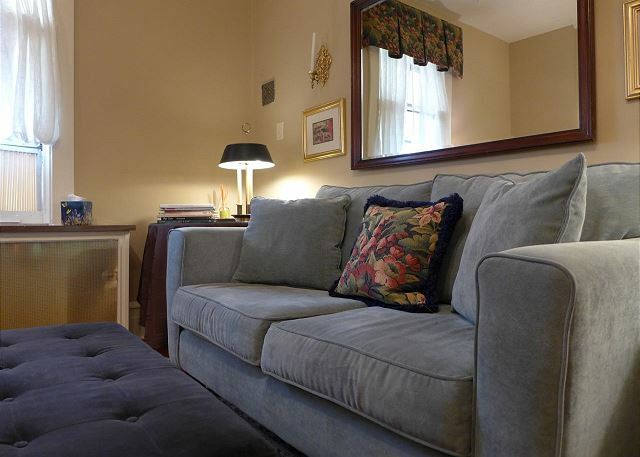 Beautifully appointed and so very comfortable with many amenities! Loved the Sumatra coffee every morning! We always looked forward to returning each evening to these cozy locations. 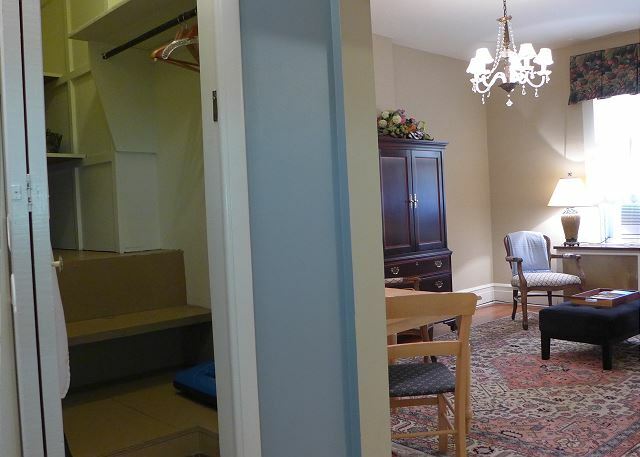 Parking was never a problem for Anna's Retreat and the loft had its own garage, and washer and dryer too! Karen and Rachael have thought of so many details to make our stay in St. Louis memorable! We will be returning soon! We stayed here for a weekend to celebrate a birthday milestone. The apartment was perfect. 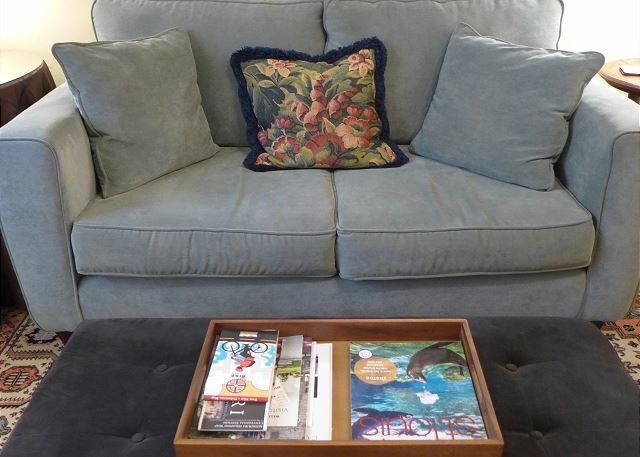 It was homey and comfortable and the owner was exceptional. She has every detail covered!!! There is a fully stocked kitchen with an offering of breakfast food, eggs, bagels, fruit and snacks and beverages that are complimentary. The bath towels are excellent quality and the bed very comfortable. The neighborhood is lovely and we loved exploring the nearby restaurants. It was close to the symphony and art museum. An easy 10 minute drive to anywhere you wanted to go in the city! I would highly recommend this apartment as well as any other property that SF Shannon manages, they are outstanding! My son and I needed a place to stay for 4 days in St. Louis. Anna's Retreat provided the perfect setting for us. We were only minutes from downtown. The place was spotlessly clean and the kitchen had everything we needed for cooking, plus some "extras" to get us started. The bed was very comfortable and the towels were plush. Best of all were the owners. They were prompt, and very very willing to answer any questions before we arrived and made us feel at home and were insistent that they were available during our stay if we needed anything. We would highly recommend it. Back from a second stay at exquisite " Anna's Retreat, " that I enjoyed, if anything, more than the first. Not only is it beautifully decorated with lovely furnishings (and the most the most comfortable bed imaginable),it's sparkling clean, and has been stocked with fine fresh coffee, and a variety of breakfast fixings and snacks. Owner Rachel is above and beyond accommodating, helpful, and available at all times. The unique building has been beautifully restored, and having seen it's other vacation rentals--each with its own unique character--I look forward to staying in each and every one on future visits. I can't recommend SF Shannon, and any of its wonderful limitings, highly enough. Many thanks to Rachel and Karen, for all your hospitality! 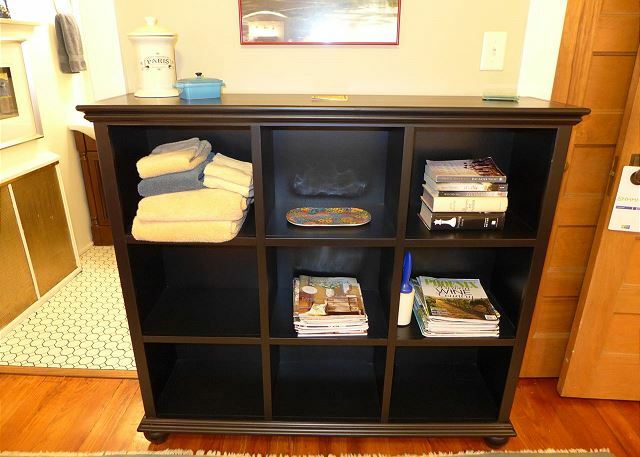 My review has been published on Homeaway/VRBO for over a week. There seems to be problem with the websites, as my review has been published for over a week. Thank you. A little oasis in the old section of St Louis, a Victorian / Edwardian suite of rooms with clean, modern amenities, all within walking distance of historic mansions and avenues, ten minutes from Tower Grove Park (as well as a good bookstore and the legendary Pho Grand Vietnamese restaurant). Truly, it felt like a London B&B, except everything worked beautifully! A great experience. Rachel and Karen know their business. We're going back. 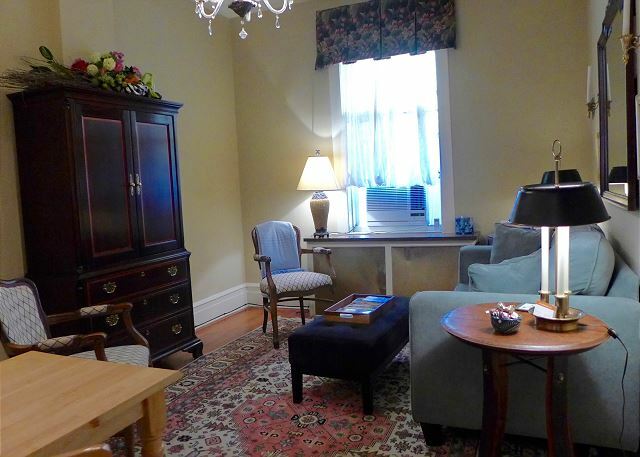 Anna's Retreat is an absolutely delightful stay-away-from-home. Rachel and Karen, the property owners, have gone through extraordinary steps to furnish the apartment tastefully and with every convenience. A computer with a printer, fresh fruit, yoghurt, freshly roasted coffee, upscale toiletries, etc., etc. It is a really warm ambience. It does not have a washer/ dryer, but there are laundries in the neighborhood. We have stayed here twice and will be back whenever we are in town.